Guillaume (you can call him Gui) has been interested in birds since the age of 10 and birdwatching regularly since the age of 15. He was involved with the French partner of BirdLife International (Ligue pour la Protection des Oiseaux) and has worked in Nature Reserves. 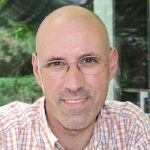 He has been working as a guide for A ROCHA Life Portugal since 2010 and has had experience of birdwatching in various countries (France, Greece, USA, Tunisia, Portugal and Spain). 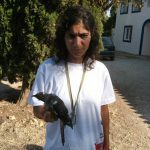 He is also a licensed bird ringer in Portugal and punctually works for an environmental consultancy company, mainly focusing on raptor migration. He is also a regional reviewer for ebird a regional coordinator for the Common Bird Census. He is fluent in French, English and Portuguese. His services as a guide have been rated by our clients as Excellent (average mark of 9,5/10).